New FDA-Approved KYBELLA™ -- First and Only Injectable Drug for "Double Chin"
RANCHO MIRAGE, Calif., July 27, 2015 /PRNewswire/ -- Chin up! 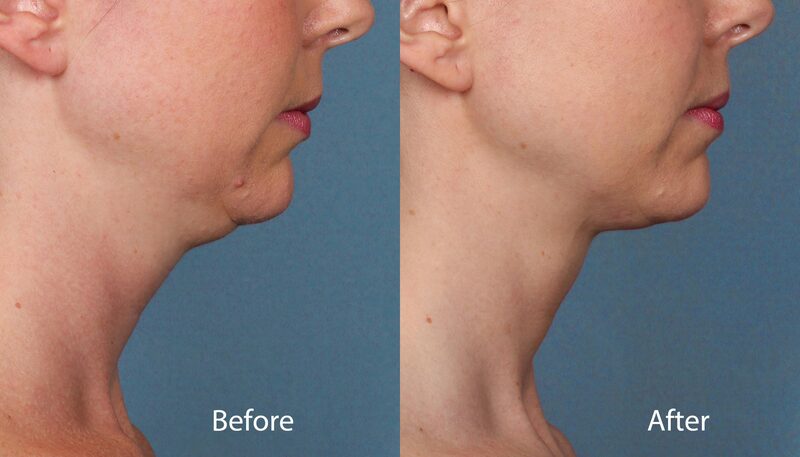 Here's great news for people who are troubled by a double chin. KYBELLA™ – the first and only FDA-approved injectable drug available that contours and improves the appearance of moderate to severe submental fullness sometimes referred to as a "double chin" is now available. Board Certified Dermatologist Timothy M. Jochen, M.D. of Contour Dermatology & Cosmetic Surgery Center, is one of the first physicians in the nation to offer this non-surgical treatment. KYBELLA™ contains deoxycholic acid which targets and destroys the fat cells which are then naturally eliminated by the body. Submental fullness is a common, yet under-treated esthetic condition that is often resistant to diet and exercise alone and influenced by several factors, including aging, genetics and weight gain. 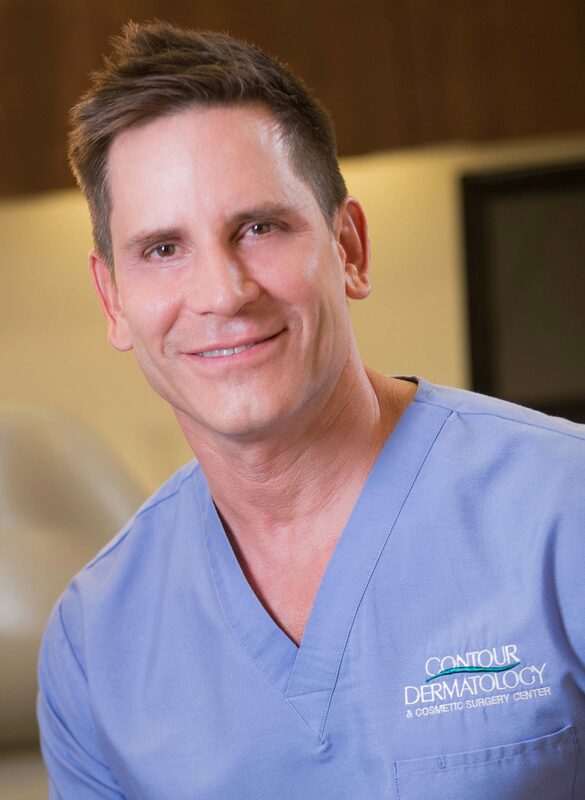 "I have been performing tumescent liposuction for under chin contouring for years and am excited to be able to offer patients a non-surgical option," said Dr. Jochen. "In my opinion, the best patient for this procedure is someone who has a small pocket of fat with fairly tight skin. In this indication, I think it will have amazing results," he said. Each in-office treatment session with KYBELLA™ typically takes 15-20 minutes. KYBELLA™ is injected directly into the fat pocket. Treatment plans are customized and may include up to six visits depending on the patient's esthetic goals. Many patients experience visible results in two to four treatment sessions spaced at least one month apart. The safety and effectiveness of KYBELLA™ for treatment of submental fat were established in a global clinical development program involving over 20 clinical studies with more than 2,600 patients worldwide, of which 1,600 have been treated with KYBELLA™. The most common side effects are swelling, bruising, pain, numbness, redness and formation of areas of hardness in the treatment area. In clinical trials, the incidence and severity of most side effects decreased with subsequent KYBELLA™ treatments. A leading dermatologist, Dr. Jochen specializes in medical and cosmetic dermatology and cosmetic surgery procedures including mini-facelift, neck lift, blepharoplasty and hair transplant surgery. He is one of the top facial filler and Botox injectors in the nation. Dr. Jochen is also an Associate Professor of Dermatology at the University of Southern California in Los Angeles where he's been named "Teacher of the Year" several times. His peers also have voted him as a Castle Connolly Top Doctor. Contour Dermatology & Cosmetic Surgery Center has four Southern California locations. EDITOR'S NOTE: Click links to download Before/After photo and photo of Dr. Timothy Jochen.